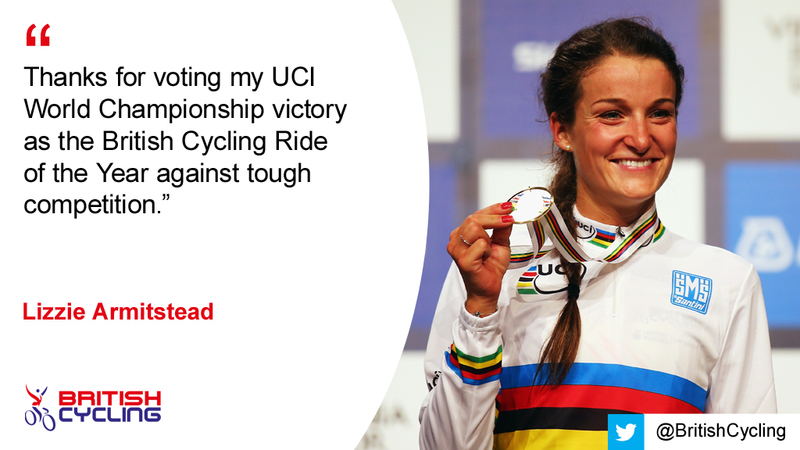 British Cycling fans have voted Lizzie Armitstead’s stunning UCI Road World Championships win as their 2015 Ride of the Year. Fans were asked to choose from a shortlist of 14 performances from Great Britain Cycling Team riders after what has been another fantastic year across the disciplines. Armitstead’s world championship-winning ride, which saw her outsprint Anna van der Breggen to claim her maiden rainbow jersey, polled 26% of fans’ votes, ahead of second-placed Tom Pidcock (18%) and third-placed Steve Bate and Adam Duggleby (10%) (below). “Thanks for voting my UCI World Championship victory as the British Cycling Ride of the Year against tough competition. The shortlist of 14 was chosen by an expert panel: Great Britain Cycling Team technical director Shane Sutton, British Cycling cycle sport and membership director Jonny Clay, Sky Sports cycling journalist Orla Chennaoui and British Cycling president Bob Howden – with the awards being hosted by British Cycling in partnership with the Bicycle Association. Lizzie has won the coveted Cycle Industry’s Golden Jubilee Trophy. “This was a phenomenal performance, and clearly one which captured the imagination of cycling fans in this country. 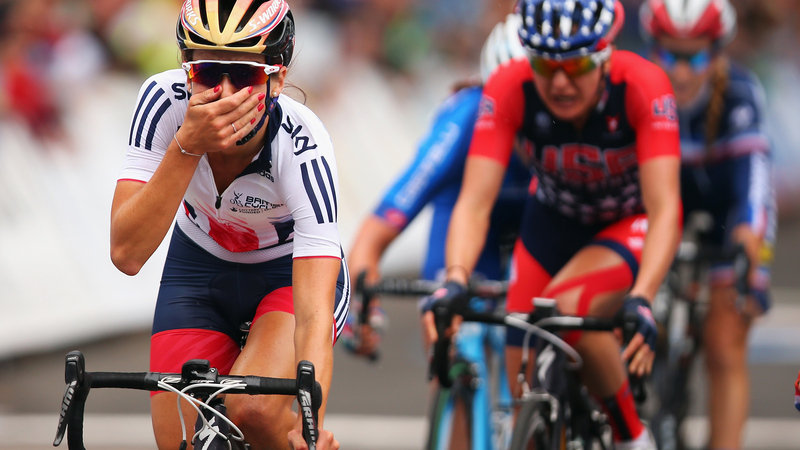 “Lizzie’s victory was a landmark moment in the history of British Cycling. She represents the best of our great sport and deserves all of the praise she has had from across cycling and the wider sporting community since her victory in Richmond. 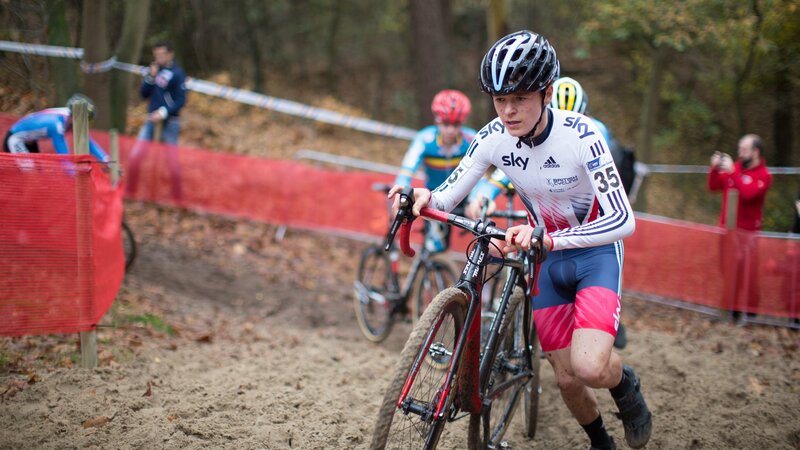 Pidcock (above) was nominated for his excellent performance in his first ever overseas cyclo-cross race – the 16 year-old finished eighth in the junior men’s race at the UEC European Cyclo-cross Championships in November. 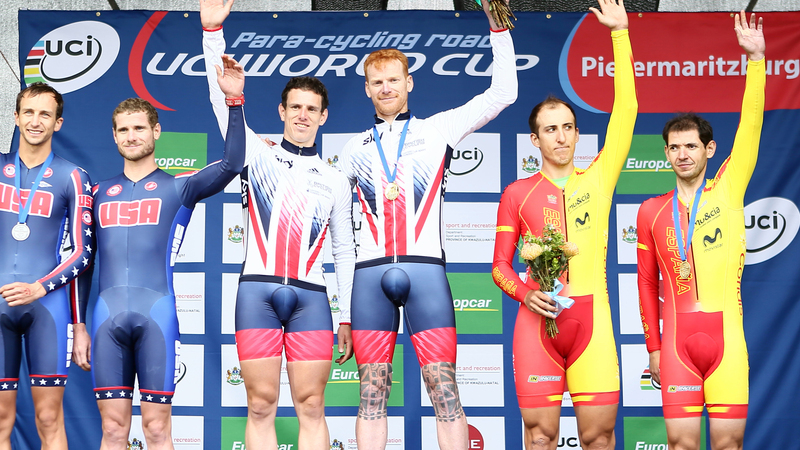 Bate and Duggleby were shortlisted thanks to their in the time trial at the UCI Para-Cycling Road World Cup in South Africa.